» Market updates » Markets Below 9800....What's Next ?? Markets Below 9800....What's Next ?? 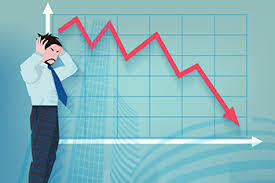 Markets have been sluggish since last 3 trading sessions, benchmark index have fallen about 3 percent from its recent all time highs, creating panic among investors. Fall in GDP, Regular selling by FIIs, Widening Fiscal Deficit, US-North Korea issues are being quoted as some of the reasons behind the downfall. Investors should look upon this fall as an opportunity to buy quality stocks, as there were not many available at reasonable prices in past 2-3 months. I would also advise not to sell your quality stocks even if they are below stop loss levels. This is an short term euphoria which is likely to be settle down by the end of festive season.